Left. 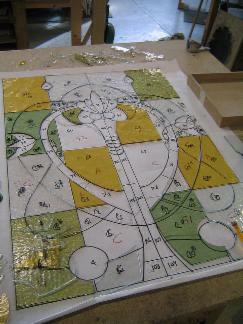 Stained glass cartoon (Template drawing of the window) with glass being cut. Right. 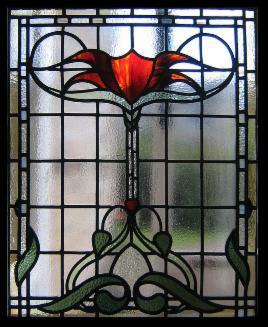 Stained glass front door panel. 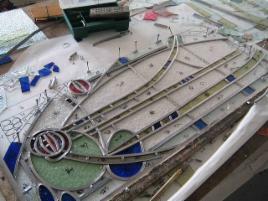 Design based on various Glasgow style windows. Bearsden. Two Charles Rennie Macintosh reproduction windows being leaded up. One for a front door the other for a bathroom door. 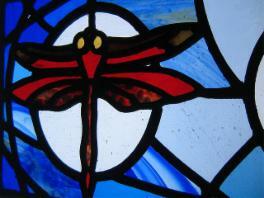 A Dragonfly themed transom light for above the main entrance to this Airdrie home, Scotland. 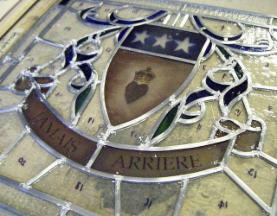 A Douglas coat of arms window being built in the studio. 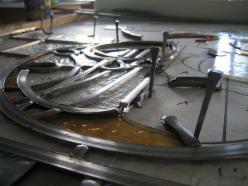 The panel is leaded up and about to be soldered. "Jamais Arriere", Never Behind.